Toki Minoyaki festival, which is the largest pottery festival in Toki city, is held during the “Golden week” holidays in early May. 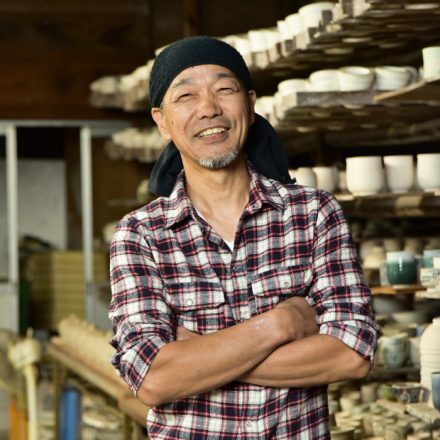 This festival is one of the three major pottery festivals along side the Arita pottery festival in Saga Prefecture and Setomono festival in Seto city of Aichi Prefecture. It is crowded with more than 300 thousand visitors every year. 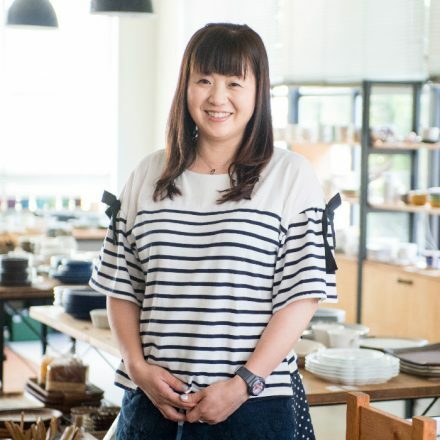 Yuko Fujita is the president of Fujita Touki, a company that coordinates the sales of Minoyaki. 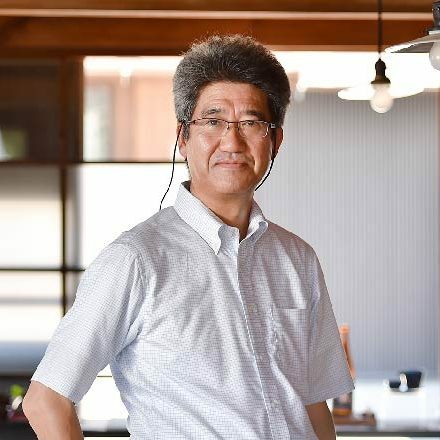 The company is located in Oribe Hills where the Toki Minoyaki festival is held and a many pottery wholesalers reside there. 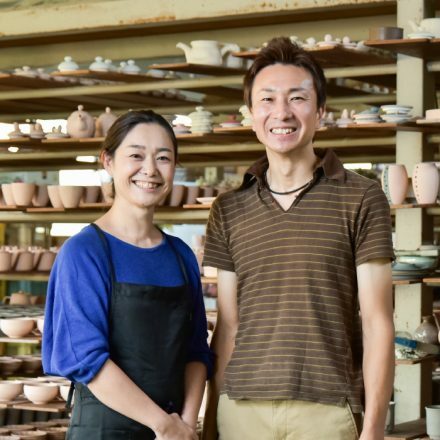 She grew up watching her father and grandfather’s backs, who fostered the growth of Minoyaki, which is the largest produced pottery in Japan. And she hoped one day to widespread this art, which was protected and enhanced by predecessors. 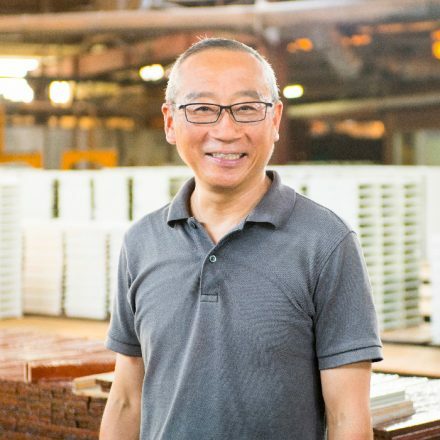 Being a company that sells tableware for commercial use and having national channels, it has the mission to precisely grasp the needs of the consumers and deliver products on demand to its stores. 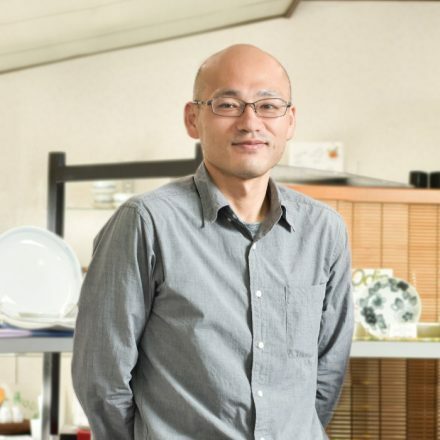 In order to further spread Minoyaki, Fujita thought to sell tableware together with hand made craft and home goods. Eating, decorating the room and enjoying fashion are all part of life. I wanted to promote having tableware that match the interior of the room it is in. Finally in April of 2009 with her hard work she opened her Ceramic ware store called “Felice”. 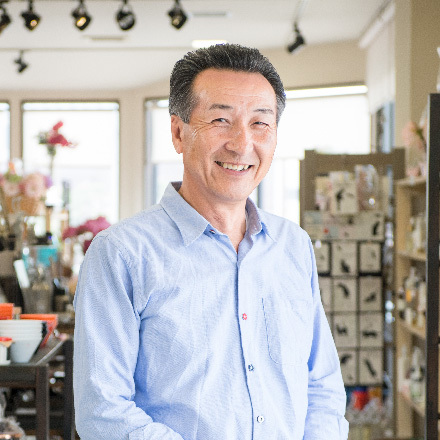 One can find handmade accessories, wooden crafts and clothing made by local artists and also select products chosen by Fujita herself which she felt would fit in the home. Amongst these products, original works are displayed as well. 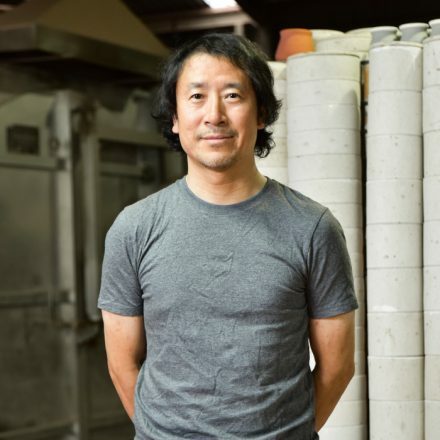 Fujita is a dealer so, she requests manufacturers to design the shape and produce works that fit the theme or environment. 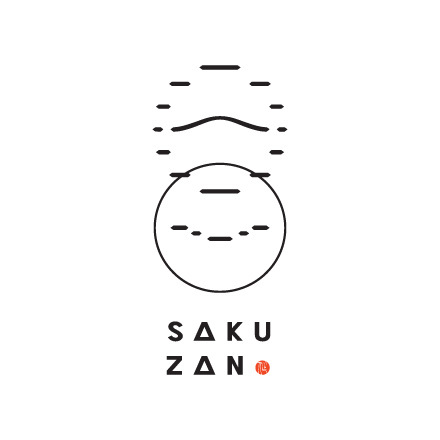 Her concept is “To enjoy to use and dine with the tableware”. So in her store she shows the scene in which the products are used along with other products. 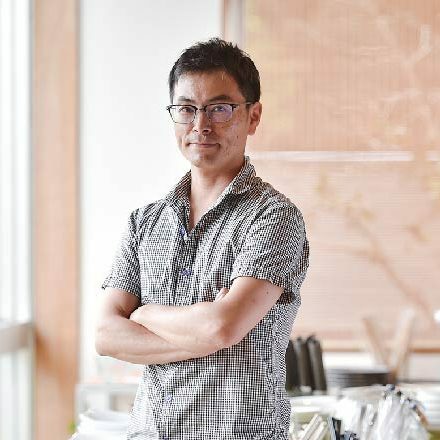 In September of 2016, a cooking studio was made to hold cooking classes and bread baking classes with the thought to “Enjoy life by enjoying eating”. Participants can talk while cooking and also enjoy the food. The difference compared to other studios is, participants are free to choose and use any tableware inside the studio. The benefit of this studio is that not only can people hold and feel the tableware but also can have a feel for how to use it serving food and realize the usage and appearance of the dish. “It seems when shopping online, people often purchase something only to realize it was not what they imagined. Unless you are familiar with tableware you can’t imagine just by looking at the size in “Sun”(Japanese metric for 3.03cm) or centimeters”. Also there are those people who want to try various colors but worry how it will turn out. But at the studio, these tableware can be used and often time participants purchase the products. 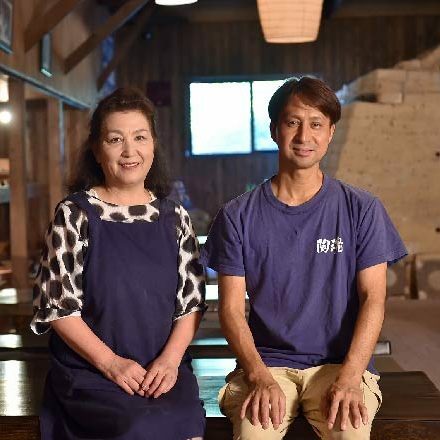 Instagram photos are posted with photos of the participant’s cooked food served in one of the dishes and this has created interest on SNS and now the cooking class, held 3 times monthly, is sold out for the next two months. Since we started cooking classes, we let participants try out the new products. We were able to get feedback from users, with regards to the colors and shapes, sizes that were liked. There has also been a change in the way product planning was done. There are few opportunities to ask the users opinion for us dealers and manufacturers. So, we were always concerned about if users accept the new product or not. We were able to get a big benefit by hearing the real voices through the cooking class. For example, our “Dot rim oval plate” which uses a navy glaze was produced based on our participants’ opinion. Generally speaking, the blue color makes people lose their appetite in japan, but actually it made the whole dish more attractive, and made it a big hit. Also, “Sogi flower plate” which is designed to resemble a blooming flower, is popular because it makes the table gorgeous when you serve food. We make a product we really desire, that’s why details of the design are sprinkled with aspects that stir up a woman’s heart. It’s handy, makes a dish gorgeous and the tableware can delight everyday dining. It makes a usual day more precious. 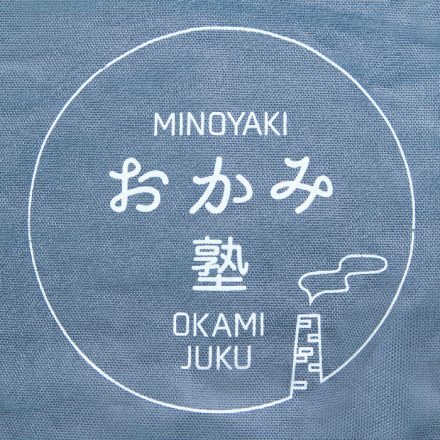 With real opinions, Minoyaki becomes more a part of our current lives. 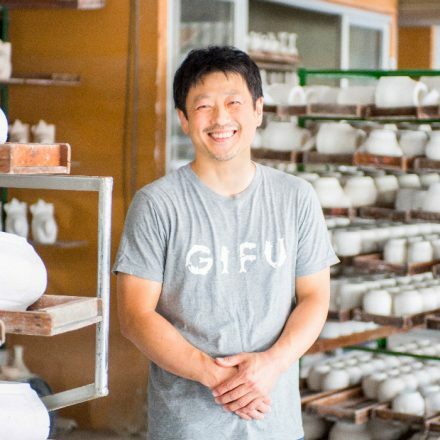 “With the great production power and technique of the kiln, it is possible to produce tableware close to the lifestyle.” Envisioning the future of Minoyaki dealers, Fujita’s eyes are shining bright.